We have a gorgeous selection of new Honda Civics for sale near Atlanta, Georgia. The Civic is available as a coupe, sedan or hatchback. 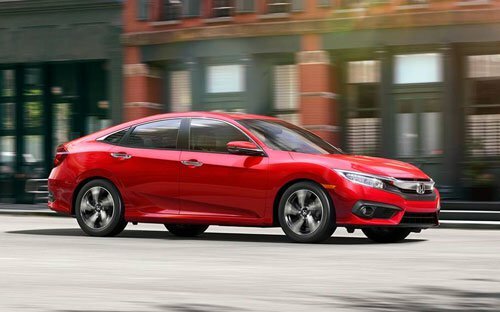 Loaded with convenient technology, safety features and plenty of room for passengers and driver alike, the Civic is one of Honda’s most popular models. Browse our new and used Honda Civic inventory online and see MSRP, photos and vehicle details. We usually have a nice selection of pre-owned Honda Civics with low mileage, offered at remarkable savings. Expert Honda financing and leasing is available in our auto finance center. We are here to answer your questions and help you find the perfect Honda Civic at the perfect price. Why not come by for a test drive soon?